Take a second and think of your favorite car. Got it? Aight, now think to yourself why it's your favorite car. We're sure the majority of you found your favorite cars on a movie or TV screen. That's because movies and cars go together like Michael Steele's foot and his mouth. Whether it was a ride in an awesome car chase scene or just a dope whip that your favorite character drove (or was driven in), cars have become just as important as people. Think about it: Didn't the DeLorean play just as big a role as Michael J. Fox? Wasn't the Ecto-1 the coolest part of Ghostbusters? And what would James Bond be without his tricked out Aston Martin? 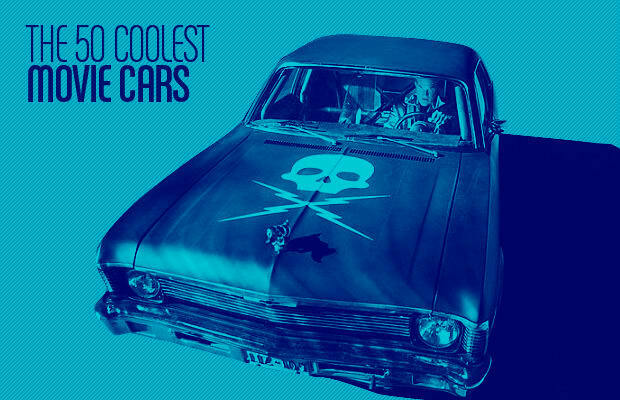 There's been no better sidekick in movie history than the automobile, and for that reason, we're paying homage to The 50 Coolest Movie Cars of all time.